﻿ Gratia Bickerstaff - I AM Co. 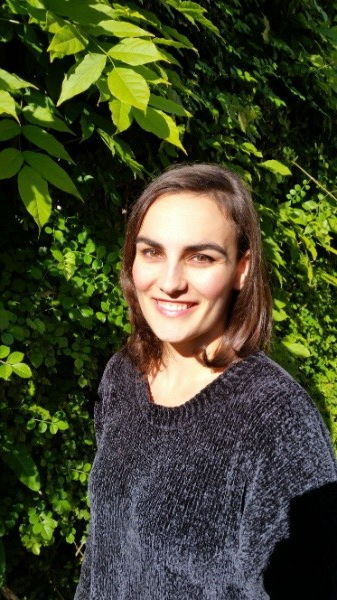 This week we chat with the lovely Gratia Bickerstaff, Brand Manager of Health & Beauty at Ceres Organics where she looks after the NZ marketing for amazing brands such Dr. Hauschka, Tints of Nature, Acure, Giovanni, Speick, and more. Gratia is an animal lover and has been vegetarian for eight years but these days follows mostly a Vegan diet. She is all about stress-free lifestyle choices because she believes stress is the worst! Gratia believes conscious living looks different for everyone, but thinks most of all it should be sustainable. Everyone’s on their own winding path, especially her! I always start the day with a coffee, then when I get hungry I have a protein shake. It’s kind of like intermittent fasting but I’m not strict about it. My favourite is Garden of Life Raw Meal, vanilla flavour. I’m not much of a morning person, (hence the coffee and protein shake! ), so on weekends I’ll make a proper smoothie, or for a treat I’ll have pancakes for brunch. I used to always buy lunch because I would always forget to bring some or not have time in the morning. Then I managed to train myself into bringing leftovers, but I’ve recently come to the realization that leftovers for lunch just don’t work for me either. If I’m having the same thing for lunch and dinner I completely lose motivation for dinner and end up reaching for Uber Eats the following dinner. 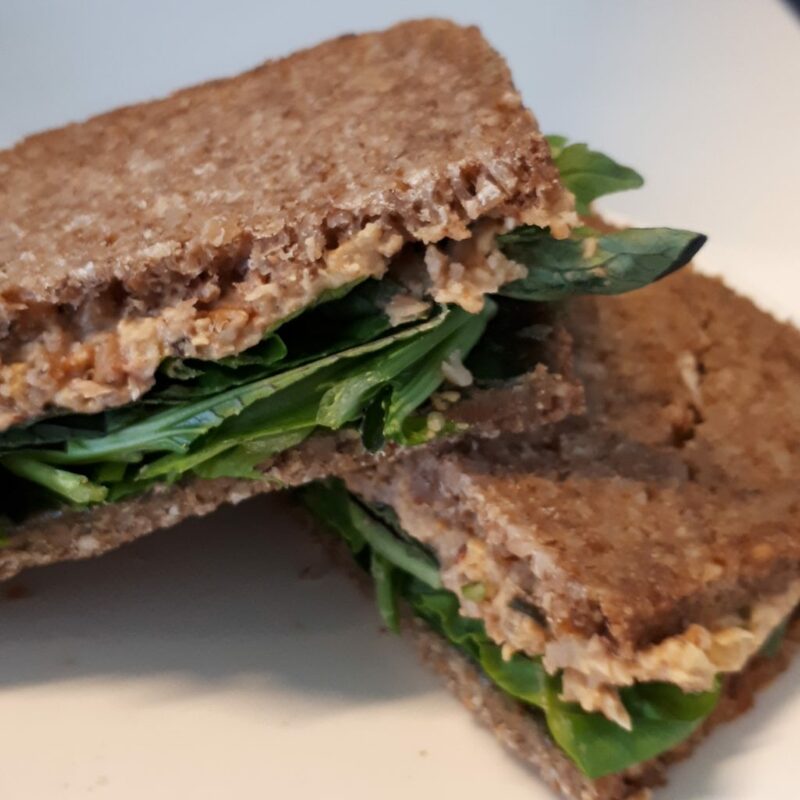 So, these days lunch is a sandwich filled with mashed chickpea, nut butter (Ceres pumpkin seed butter is my favourite), and some sort of salad (micro greens, cabbage, lettuce, or dark leafy greens) and avocado if I’m lucky. The chickpea mash is kind of like hummus but thicker so it stays thick and chunky and doesn’t squish out of the sandwich. In the weekend I blend a tin of chickpeas awith various flavours such as lemon, beetroot, chia seeds, tahini, mustard, and fresh herbs, and that lasts me a week. I like dense breads like pumpernickel or linseed, which as a bonus don’t go soggy, and I rotate those weekly too so that I don’t get bored. 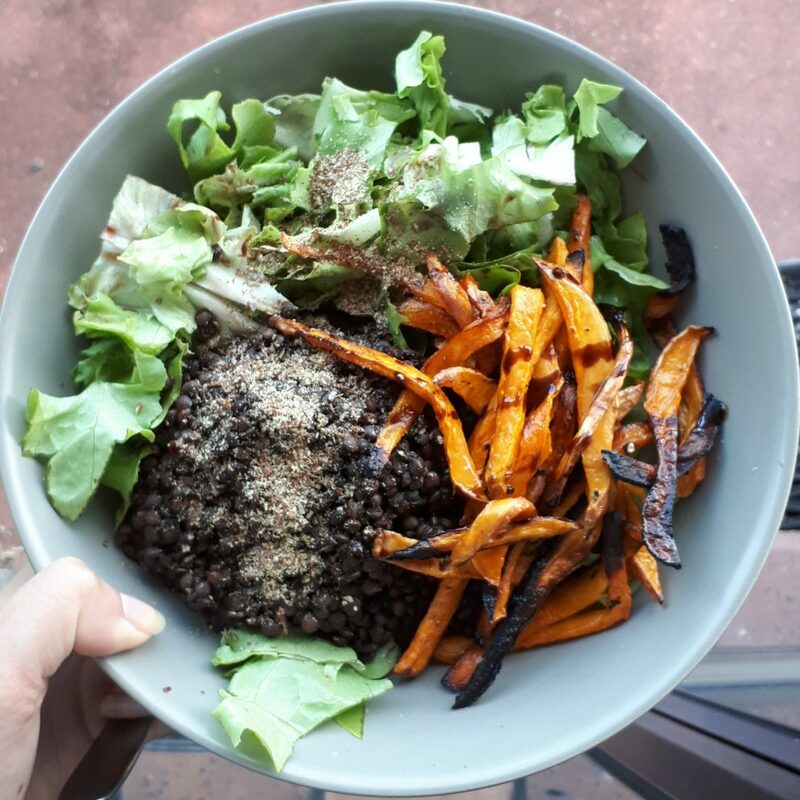 I am loving it so far, it keeps me full and the weekly rotation is keeping me interested in eating healthy for lunch and dinner. I cook a big batch of beans and/or lentils from scratch in the weekends. I soak the beans for 8 hours then cook them with herbs and spices, whatever I have available. I get pretty creative with the flavours; garam masala, cumin, onion, carrot, bay leaf, chilli, turmeric, allspice or curry… not all together, but nothing is off limits. The reason I love cooking beans from scratch is because you can infuse them with so much more flavour that way, and I like to know that they’re soaked properly because they’re much easier to digest that way. They freeze really well and keep well in the fridge so dinner revolves around that. Usually I will re-cook them and add tinned tomatoes and other vegetables into the mix, it’s the perfect base for any meal. 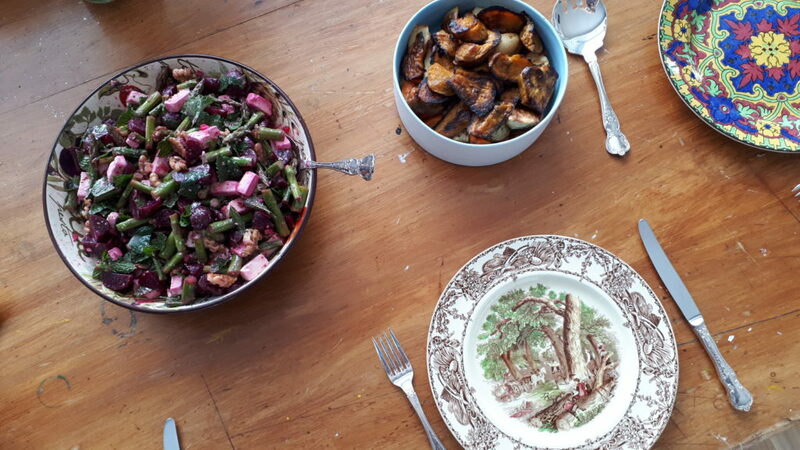 Then I either have the bean mix on nachos, turn it into a casserole or lasagne, or what I do most often is simply have it on a bed of greens with a side of starch such as roast vegetables. If I’m out of vegetables I go for a grain like quinoa, with balsamic vinegar drizzled on top. When it comes to lentils I don’t soak them first because I prefer them to be kind of chewy, not mushy. I’m told I make a super good lentil shepherd’s pie, and sometimes I don’t even bother baking it and just put lentils and mashed potato together in a bowl and eat it like that. I add soy sauce and nutritional yeast into the mashed potato, which is super delicious. I used to have a chronic sweet tooth. We don’t usually keep sweet things in the house because we just can’t stop eating them until they’re all gone. I do still love dessert though! My go-to is frozen berries topped with coconut yoghurt and cacao nibs. It’s so delicious, I can’t believe it’s healthy. 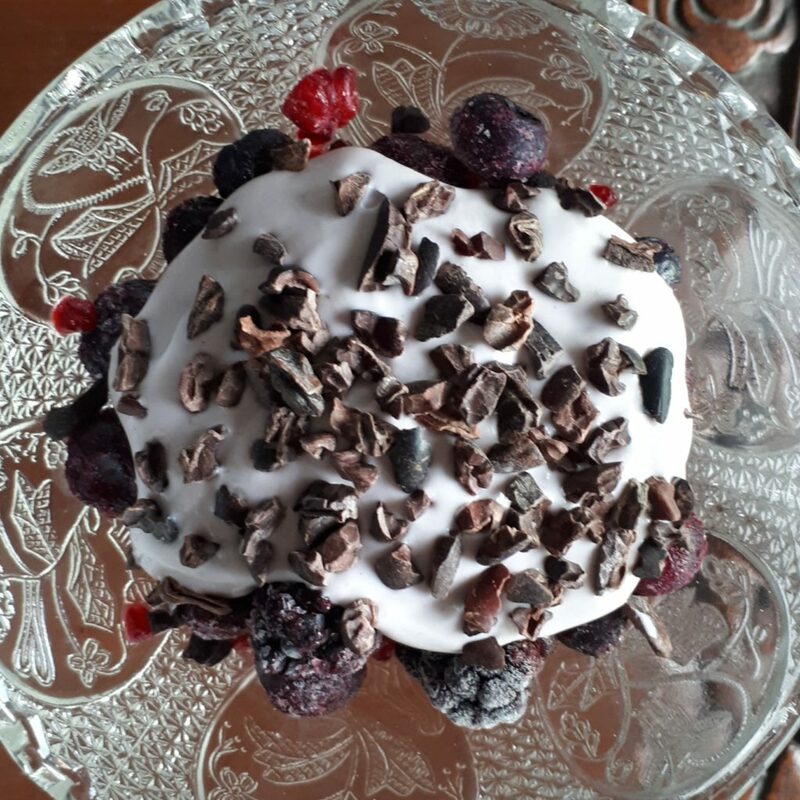 The berries freeze the yoghurt a little bit, and melt in your mouth, and the cacao nibs give a nice crunch and satisfy that chocolate craving without the sugar hit. At work it’s tiger nuts or seaweed because they’re handy to keep at my desk. At home I’m always reaching for olives. After years of hating olives, something just clicked in the last 6 months and now I’m obsessed… but ONLY with green ones. That’s a thing, right? I love to make my own cashew milk (it’s super easy… soak the cashews, then blend! No straining required) so that’s a nice treat occasionally. If I have a bit more time I love to make my own kale chips. I put cajun spice and nutritional yeast on them, and I’m salivating just thinking about it. Tasca on Dominion Road has something for everyone, they have good vegan and vegetarian options as well as something for the carnivores. I love how it looks small from the street, then you walk through and suddenly there’s a big outdoor courtyard with olive trees. Al Volo Pizzeria has the freshest, lightest, juiciest wood-fired pizza ever. I also love the new Kind Café & Eatery in Morningside. I’ve only been there once so I probably can’t call it a favourite, but I rate it very highly and really want to go again. Nice staff make or break a place for me, and the above three places are excellent in that regard. Beans, lentils, and potatoes, if you couldn’t tell already. My partner makes the best pasta and bread from scratch, better than anything you can buy at a restaurant. He never follows recipes and he’s quite experimental but it’s always amazing. 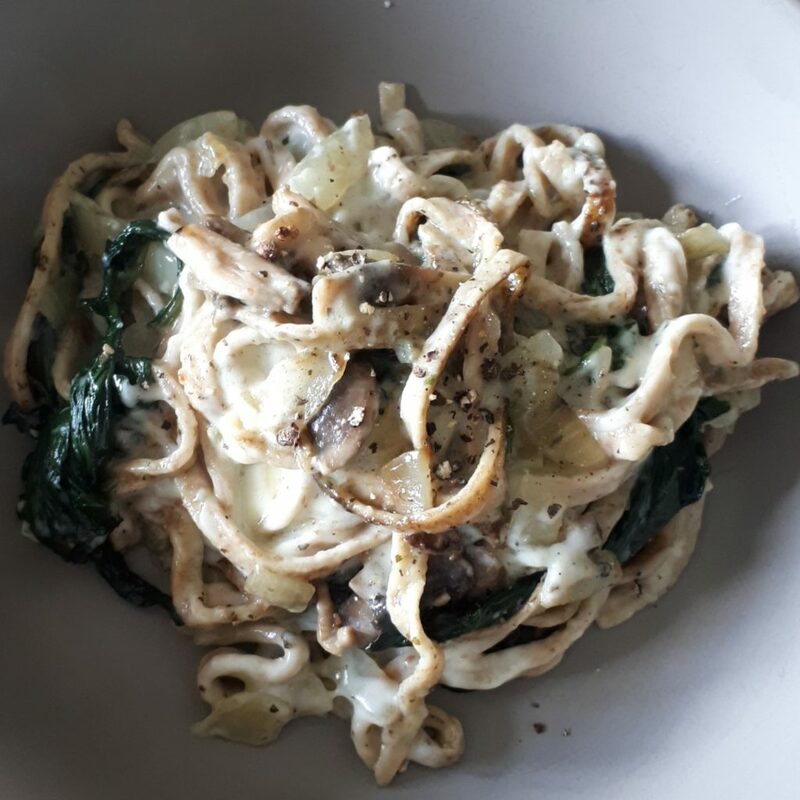 Pasta unfortunately doesn’t agree with me, so I can’t eat it too often, but I’d eat pasta every day if I could. Where to begin! All the comfort foods, but I do love a good salad too. Beetroot & feta salad with lots of lemon juice and fresh mint is one of my favourites. French Onion soup is another one that gets me drooling, I’m trying out different recipes to try to recreate the most delicious one I ever tried. It was a dish a friend made once, but he wasn’t following a recipe and couldn’t remember what he put in it!